I installed fresh with the minimal iso and LAN today. The mate desktop is broken. Just a black line at the top. Maybe this can point you in the right direction. I cant change my locals from Gnome, but that might be an Arch thing ;). I really want to like Antergos and this is my 3rd attempt! I just cant catch a break with your system. Last time I had to go with defaults just to get through the installer, I finally got that to work with your minimal ISO. (Keyboard choice page is blank during install though). I wanted mate so could have something to build on, but ended up with heavy gnome anyway :D.
Now, about your main topic: Is your Gnome installation new? Is the Antergos repo (Antergos Repo Priority) listed first? From what I can see you pulled the mate packages from the community repo, not the Antergos one. That s why they were downgraded to v. 1.12 instead of the Antergos-maintained v. 1.14. I tested it and what I get back is 2 repo sources to choose the packages from: Antergos repo & Community repo. I can deal with the locals later. When mate did not work i tried to reinstall it. And if you look it does not actually do anything. This command takes 2sec and jus prints out the dependancies issues. I just followed the installer and booted up a broken system. So, If I m getting you right, you opened a tty screen (ctrl-alt-F2) and installed gnome to your already installed mate(which was unusable), right? 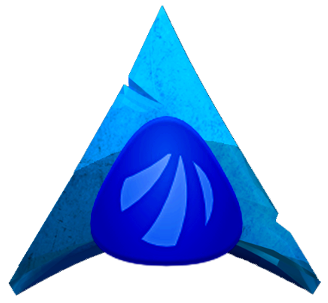 It seems that trying to install mate via the community repoyou got it dowgraded to 1.12 (unmaintained Arch repo packages) from your already installed 1.14 version which are in the Antergos repo, leading to unresolved dependencies between the two versions. If you want to try again, make sure that the Antergos repo is listed before all others, NOT at the end of all others. If this is ok, then the mistake should be your choice to select the community repo. What has to be selected is the Antergos repo. If this is so, did you uninstall mate before reinstalling it? No, I was unaware I had to do that. I understand what you are saying, i did some research and see pacman chooses the packages from the repo thats listed first if there are duplicate packages. The only problem is I did not touch the repos, I just installed with the minimal ISO. So using the installer to install mate DE will fail every time until someone modifies the installer to put antergos repo first, right? I will give this a go later tonight. Thank you again ;). We have an expression in my country that states: Now your talking greek. Which basically means you dont understand what the other person is talking about. I surely did not expect it to actually be greek ;). But yes, i get it. Thank you, Im sure this will work. Yes, please, do open a new topic, so it will be seen. The only problem is I did not touch the repos, I just installed with the minimal ISO. In short, to replace your current file located at /etc/pacman.conf with the modified version located at /etc/pacman.conf.pacnew. A thing I don t know, since your installation is new, is if you have the latter. Can you find it? Well, I m well aware of this expression and that s why I used it in the first place. I m half greek, half irish. Your forum marked it as Spam… (I’m afraid I give up). I’ll reinstall later with gnome. I forgot to mention here yesterday I submitted a pull request to fix the issue of the Antergos repo not being up top automatically. Since the version isn’t pushed run the following after cnchi has finished updating itself and you’ve closed cnchi.